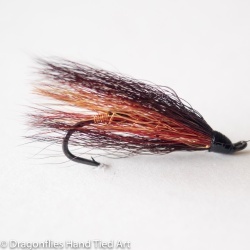 THE MUNRO KILLER SALMON FLY PATTERN The Munro Killer is in a strong position of winning the title 'Best Scottish Salmon Fly'. It is regarded as a good summer and late season pattern, but I have had good results in the spring. A great fly which many would regard as indispensable. It is a modern variation on the traditional Thunder and Lightning used all over the world. Look for our Munro Killer Double Hook Salmon fly Munro Killer Treble Hook Salmon Fly and Munro Killer Salmon Alloy Tube fly. I have had great success with a Munro Killer when fishing for Salmon in Canada, Scotland and in Sweden.